Just after revitalising the Charger line-up, Dodge has confirmed that the Challenger range has undergone a similar treatment. 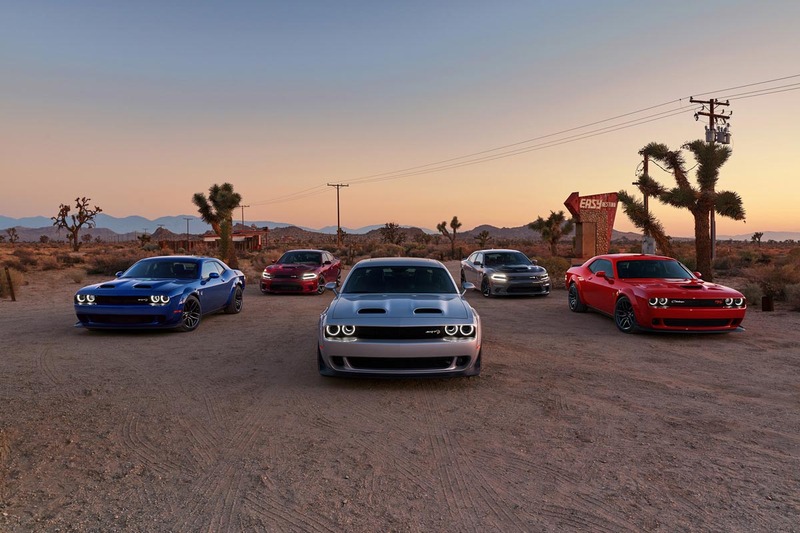 The big news is the introduction of the new range-topping, Dodge Challenger SRT Hellcat Redeye, which borrows technology from the limited-production, Dodge Challenger Demon. Cradled under the dual-snorkel bonnet of the new Dodge Challenger SRT Hellcat Redeye sits the world’s most powerful production V8 engine, according to Dodge. 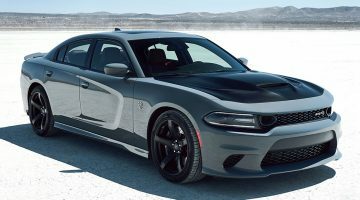 The Hellcat Redeye engine assumes that title from the more powerful one in the Demon – which is no longer in production – with its supercharged 6.2-litre Hemi churning out 786bhp and 707lb ft of torque. Such performance sees the Redeye cover the 0-100kph dash in 3.4sec, the quarter-mile in 10.8 seconds, and top out at 327kph. However, the Redeye weights in a little light in performance terms against the now-defunct, Demon – the road-legal dragster served up 828bhp and 770lb ft of torque allowing it to crack the quarter-mile in under ten seconds. That said, much of the Demon’s hardware has been fitted to the Redeye. 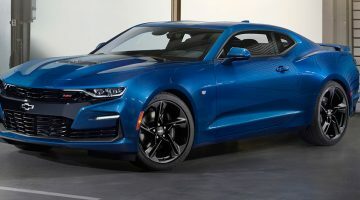 There’s the 2.7-litre supercharger, the largest factory-fit item of its kind in the world, which runs at 14.5psi, two dual-stage fuel pumps and Dodge’s SRT Power Chiller system, which uses the air conditioning refrigerant to help cool compressed air entering the engine. It should come as no surprise then that Hellcat can empty its fuel tank, from full, in 11 minutes at full throttle. The Redeye is available with a six-speed manual or eight-speed automatic transmission. Furthermore, to keep all the power in check there’s Bilstein adaptive dampers and Brembo brakes to reign in it, too. Next Article We welcome the new BMW 6-Series 640 GT to our fast fleet.